Imagine that your next meal depended on how much food you could scratch out of the ground. A majority of the planet’s food is produced by smallholder family farmers, who are also among the world’s poorest. With arable land for crops shrinking, we need solutions on how to better cultivate food to prevent additional shortages. Could more environmentally sound agricultural practices be the answer? All of us must eat. Some of us have the luxury of deciding what, when and how we will eat our next meal. Others are simply focused on the day-to-day struggle of feeding themselves and their families. In fact, feeding ourselves and our families is one of life’s fundamental struggles from a human development and environmental standpoint. Small farmers are on the leading edge of global sustainability if we consider the future of our world and food production. One-third of the world’s 7.3 billion people are smallholder family farmers who produce nearly 70 percent of all food consumed worldwide. Scientists predict Earth’s population will grow to 9.7 billion by the year 2050. The majority of these people will live in developing countries where food is produced on small farms. These statistics illustrate how smallholder agricultural may play a key role in feeding a growing global world population. 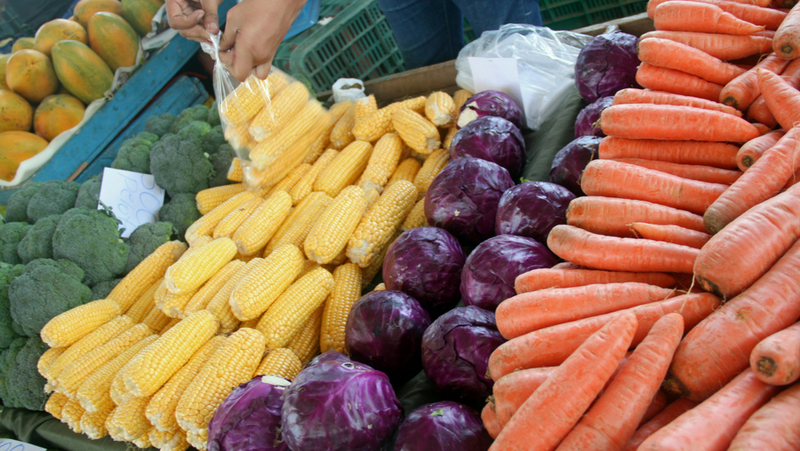 It is within this context that the Inter-American Foundation (IAF) supports initiatives that empower people’s access to healthy, fresh food while living off the land to promote sustainability for future generations. For nearly three decades, the IAF has supported smallholder organic agriculture as a tool for advancing grassroots community development throughout Latin America and the Caribbean. Feeding the world does not need to come at the cost of the environment either. On the contrary, if smallholder agriculture is sustainable, it can conserve natural resources and transform the communities that depend upon them. Organic agricultural techniques, especially when combined with planting trees (agroforestry), can create or maintain healthy landscapes and help protect water sources, maintain ground cover, enrich soils and diversify production systems. Sustainable practices are particularly important in the face of unpredictable weather such as extreme flooding or drought. Furthermore, many smallholder farmers are women or indigenous peoples — some of Latin America’s most marginalized populations. They live and farm in vulnerable landscapes such as hillsides, arid lands and floodplains. Take the case of the Gran Chaco, situated in a lowland semi-arid region that encompasses parts of Argentina, Bolivia, Paraguay and Brazil. Gran Chaco faces one of the highest deforestation rates in the Western Hemisphere aside from the Amazon. This region is inhabited by over 30 different indigenous and traditional peoples who, although resilient, face increasing challenges such as water scarcity. These issues are further exacerbated by inclement weather and, ironically, the advancement of unsustainable large-scale mechanized agriculture. Supporting these communities’ efforts to farm organically is not only a question of food security, livelihoods and cultural preservation but also an investment in an environmentally sound future for the Gran Chaco and beyond. So, as we prepare for our next meal, let’s think about how smallholder farmers can be part of advancing our food equation rather than an afterthought. In fact, they may actually transform it.